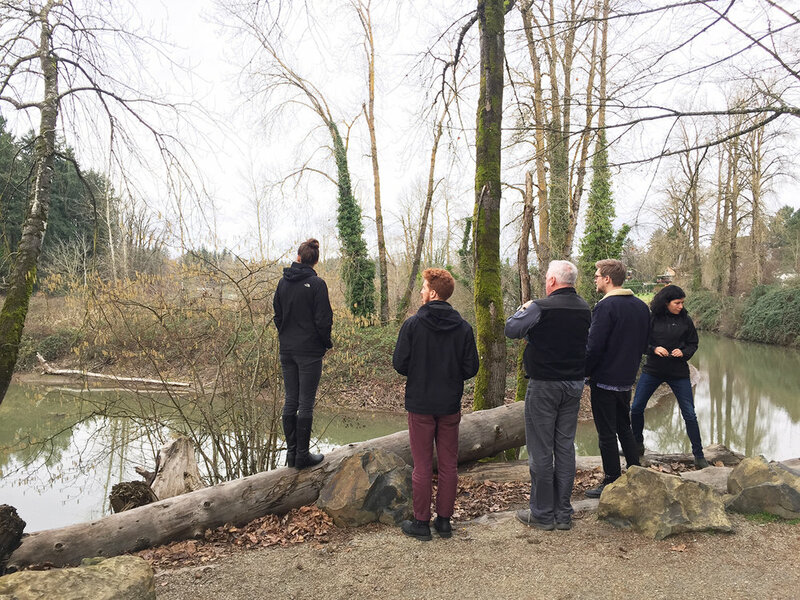 The Confluence Project recently held a dedication for the Confluence Listening Circle at Chief Timothy Park near Clarkston, Washington. Check out the video below to see highlights from the ceremony. You can find out more about the project here. Dedication Ceremony for Confluence Listening Circle at Chief Timothy Park from Confluence Project on Vimeo. From the Daily Journal of Commerce - 01.13.09 The artist chosen to create art elements for Gresham’s Center for the Arts Plaza will be at the 4th Street Brewing Company on Jan. 28 to discuss her work in public art. Claudia Fitch was awarded $175,000 to create art to mark the Third Street entrance to the GreenWorks PC designed-plaza, which will act as a “living room” for the city. Fitch has designed a variety of public art projects, including art for Qwest Field in Seattle. At the presentation, she will discuss her previous work and her strategy for approaching public art projects. Her artwork for the plaza is expected to be completed and unveiled in August. Fitch’s commission was donated by Dwight Unti, Sue O’Halloran, Mike McKeel, Steve Thoren, John Kilian and the Gresham Art Advisory Committee in memory of Walter C. Calvert. The presentation will be held at 77 N.E. Fourth St., in Gresham, from 6:30 to 8 p.m. The $1.5 million Center for the Arts Plaza will be a freestanding town square at the center of Gresham’s historic downtown. The project design includes decorative pavers, in-ground LED lighting and a public fountain, as well as a performance and events facility. Project construction began in fall 2008 by Konell Construction, which plans to finish the plaza early this year.